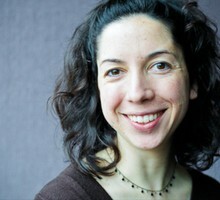 Cassandra Profita is a reporter for OPB's Science & Environment unit. Cassandra has been immersed in Columbia River issues since she started reporting for The Daily Astorian newspaper in 2006. She's followed an array of fossil fuel project proposals along the river. Previously Cassandra served as Oregon Public Broadcasting's Ecotrope blogger and as part of the EarthFix public media collaboration that covered the environment for the Pacific Northwest. She's a fellow with the Institutes for Journalism and Natural Resources and a recipient of the Metcalf Institute for Marine & Environment Reporting Award of Special Merit. Cassandra grew up in Chicago and earned a degree in journalism at the University of Missouri. Oregon sold $100 million in bonds on Thursday to pay a portion of the Elliott State Forest’s obligation to raise money for schools. Oregon lawmakers are considering another bill that aims to regulate diesel pollution by phasing out older, more polluting trucks. Oregon lawmakers are taking up legislation that would make Oregon the second state after California to adopt an economy-wide cap-and-trade system for greenhouse gas emissions. The expanded program includes more types of containers and benefits from a cleaner mix of recyclable materials, which is easier to sell than the mishmash of waste that ends up in curbside bins. Oregon lawmakers on a joint committee devoted to reducing carbon emissions plan to release a cap and trade bill next week. The Oregon Department of Fish and Wildlife has started killing sea lions below Willamette Falls to protect a fragile run of winter steelhead. A new agreement aims to help more young salmon make their way past dams along the Columbia and Snake rivers. Last year, the board voted to keep the 82,500-acre forest in public ownership rather than sell it into private hands. Several species of bottom-feeding fish off the West Coast are making a speedy recovery from overfishing. Congress has passed a bill that will make it easier to kill sea lions threatening fragile runs of salmon in the Northwest. The Bureau of Environmental Services is spending millions on projects aimed at improving water quality and restoring wildlife habitat, but auditors found the bureau often can’t prove it's meeting its goals.